Club Penguin Cheats by Mimo777 Club Penguin Cheats by Mimo777: Club Penguin "What's Different" Contest Winners! 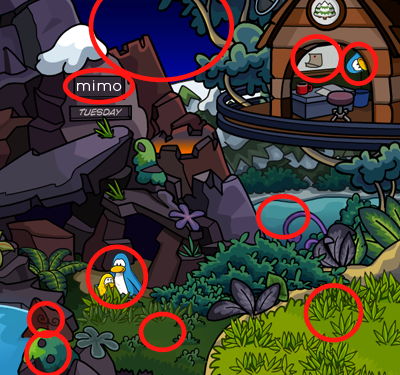 Here are the answers and the winners for the Club Penguin "What's Different" contest! And here are the people that got it right! Was that a cool contest? What other contest/fun events should I do? Let me know! I would love to hear it! I COULD NOT FIND THE LAST ONE!!!! NOOOOOOOOOO SO CLOSE!!!!! Congrats to the winners! I couldnt find the bright green grass! Nice Mimo! Hey, don't be bad losers. It was just a game, it was supposed to be for fun, not for you to complain.